The Magic of the Midnight Movie – arts, ink. What I think makes midnight movies so special is that they remind me that art is a communal experience. Hearing people interact with the movie heads-on reminds you that you, the audience, have a say in supporting work you like and rejecting work you don’t. The last time I felt glad I was watching a movie in a movie theater was when I saw “Get Out” (spoilers ahead). When the police car pulled up at the end of the film with Chris over the body of his now-dead girlfriend, the entire audience audibly gasped. I was scared myself, worried our hero would get framed and his evil girlfriend’s family would win after all. But when Chris’s friend Rod the TSA officer emerged instead the entire theater was filled with moved, genuine applause. It was a magical moment that spoke to how the film touched a nerve in today’s political climate that I would not have been able to experience for myself had I seen it alone. I can only assume this must have made the midnight circuit very empowering for film-goers in an era before social media could affirm my experience or prove once again I am surrounded by idiots. But what I find fascinating with my exposure to two such cult classics is how darn mean people get when watching something they paid to see. The two midnight movies I have seen are “The Rocky Horror Picture Show” and “The Room”, which both required an audience to make the experience memorable because of how bad they are. My main problem with “The Rocky Horror Picture Show” is that it is completely composed of B-film horror and sci-fi tropes. This is completely understandable because it is a satire of B-films in the horror and sci-fi genres. And yet, it just wasn’t that fun for me to watch after already being very familiar with the films it was parodying. Plus, I felt that the song numbers from the original musical translated very poorly to the movie’s cramped mansion of Dr. Frank-n-Furter. But seeing it shadow-acted live was truly a spectacle. It was great fun to see people mock every memorably cheesy line and throw the same stuff at the screen that was being thrown in the movie. At first, I thought it was a little harsh to hear people constantly berating the film in unison. If it was that bad, why did so many people come to see it? But I quickly learned that the movie was just plain fun to bash. I, of course, would be remiss if I didn’t mention how fun it was as a queer person to see so many fabulous LGBT people dress like the characters of “Rocky Horror” to see the fabulously campy movie. But I think that the over-the-top plot was what made it the original midnight movie in the first place. 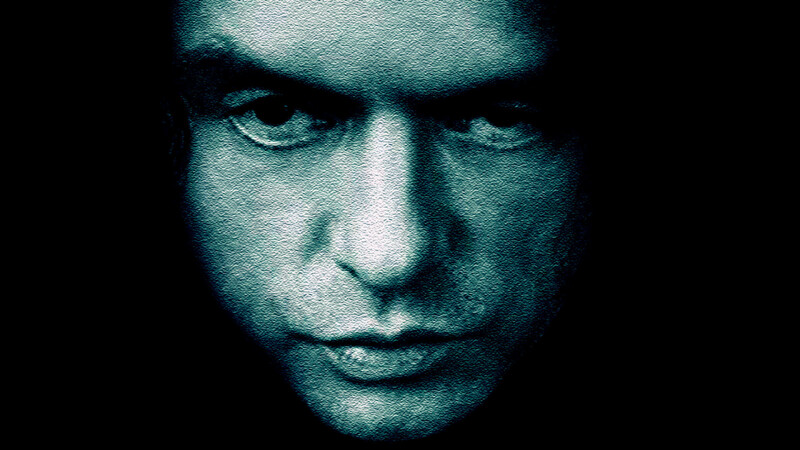 “The Room”, which came out nearly thirty years later, follows the precedent set by “Rocky Horror” due to how unbelievably bizarre it is. It is one of the most iconic midnight movies I have heard of, and interestingly enough its fame is specifically attributed to how awful it is unintentionally. It is brazenly bad, from the writing to the acting, to the point that the fact it managed to come to a coherent end at all (despite its many non-related story-lines) is impressive. 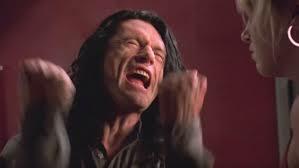 But hearing people mimic Tommy Wiseau’s strange delivery (“Oh hi, Mark!”) and even stranger action, like throwing footballs across the theater every time Wiseau tosses the pigskin with friends on-screen for some inexplicable reason, made me better appreciate and laugh at the strangeness of “The Room”, to the point I felt I was taking part in some film-loving tradition bigger than myself. That’s saying a lot for someone who usually watches indie movies alone. Of course, not all midnight movies follow the mold I came up with above. Other midnight movies I’ve seen (“Eraserhead”, “Cannibal Holocaust” and “Pink Flamingos” in case you don’t want to sleep easy tonight) are NOT meant to be seen with people you care about, or anyone, really, for very different reasons. These lead me to suspect that perhaps there are different kinds of midnight movies: ones you can laugh at and ones that leave you feeling weird on the inside because of the harsh depictions of sexuality and violence. In these cases, I am happy I saw these movies alone so no one will know (with you being the exception, my dear reader). Regardless, midnight movies are a testament to the power film can have on people’s sense of boundaries when it comes to them and the art they consume, and I look forward to the midnight movies of the future. I just hope they’ll be on the funny side.